The North Carolina Coast is home to some of the best restaurants in the south! When you’re planning your Sunset Beach vacation, make sure you plan on eating out at a couple of the area’s finest restaurants. Whether you’re in the mood from casual dining to elegant meals, we’ve got it all from fresh seafood, fantastic barbecue, burgers, pizza, and island-style cuisine. 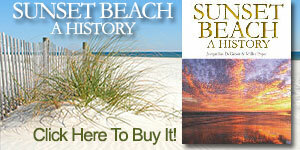 Use this restaurant guide to help you decide where to eat in Sunset Beach, NC!